Renters Insurance in Erie PA with Cronk Insurance Inc.
Just because you don’t own the home you live in doesn’t mean you don’t need the coverage that renters insurance can provide. Renters insurance in Erie PA and the surrounding area, looks and acts like a regular homeowner’s policy less one major coverage part—damage to the actual structure itself. Besides that, anyone who rents or even lives with an unrelated family member should have renters insurance to cover their belongings or personal liability. 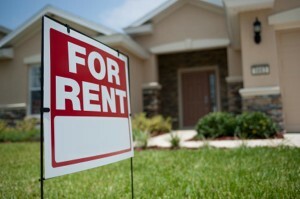 Don’t make the mistake and think that your landlord has some type of coverage for you and your property. That’s not the case! Their policy protects their building and their personal possessions, not yours. Getting a quote is easy: Ask yourself, if you were to move tomorrow all your “stuff” you were to take with you is your personal property. This is what you’d insure, and this is what we need to attach a dollar value to. Once you know this approximate value then you’re already well on your way to obtaining coverage! And just like a homeowner’s policy, we can also obtain coverage for you by endorsement for other valuable items like jewelry, fine arts, firearms and much more. Is there a lot to think about when considering the right amount of coverage you need? Sure, there is, but with one call to our agency our professional staff will guide you through it every step of the way. Call or click today for your free quote!